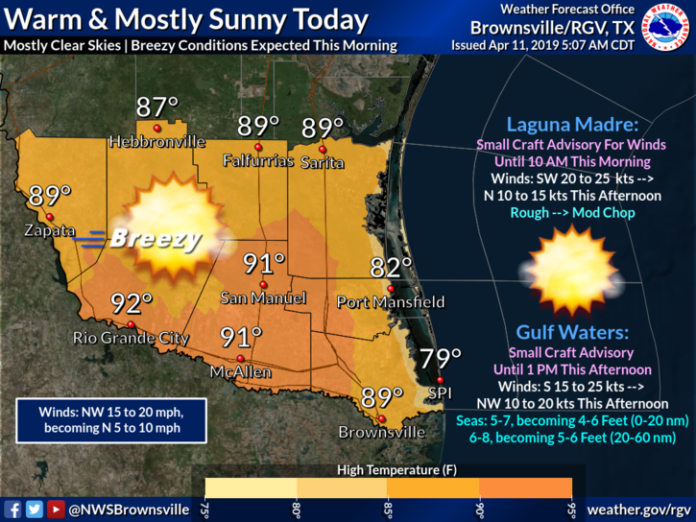 Thursday will be slightly cooler than Friday with mostly clear skies in the Rio Grande Valley, according to the National Weather Service in Brownsville. Breezy conditions are expected during the morning hours, mostly in the eastern portions of deep South Texas. The winds are expected to die down by the afternoon. High temperatures are expected to reach the lower 90s and upper 80s across the area. McAllen will hit 91 and Brownsville will see a high of 89. South Padre Island will be 79. 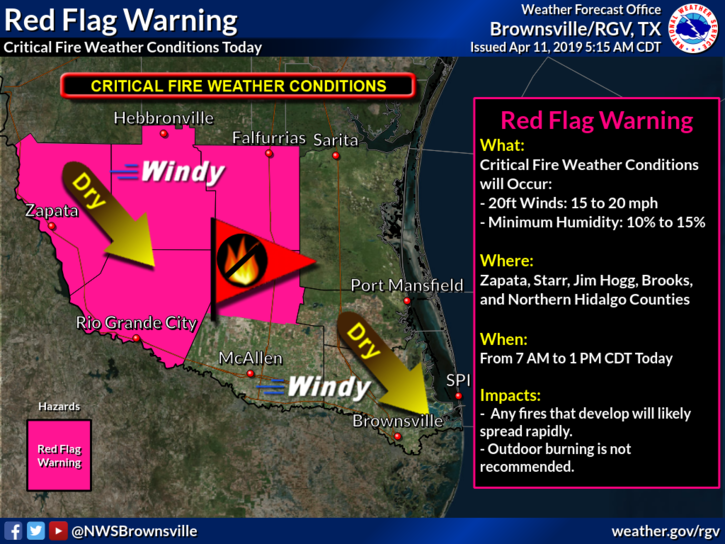 Starr County and northern Hidalgo County are under critical fire conditions until 1 p.m. Breezy conditions and lower humidity will develop over the western and central portions of the region, causing the Red Flag warning. Outdoor burning is not recommended.